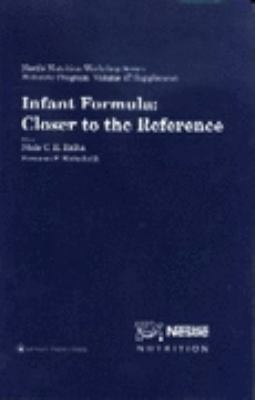 by Raiha, Niels C. R., Rubaltelli, Firmino F.
Raiha, Niels C. R., Rubaltelli, Firmino F.
This volume documents recent progress in developing infant formulas that are nutritionally and biologically equivalent to maternal milk. The book features contributions from an international group of experts in clinical practice and in research. Coverage includes studies comparing key metabolic indices--such as plasma amino acid concentrations, long chain polyunsaturated fatty acid profiles, and variables reflecting iron nutritional status--in infants fed new formulas and breast-fed infants. Also included are discussions of the adequacy of current formulas for preterm infants. Several contributors examine the role of maternal milk components and probiotics in promoting development of gastrointestinal immunity.Raiha, Niels C. R. is the author of 'Infant Formula Closer to the Reference' with ISBN 9780781736206 and ISBN 078173620X. Loading marketplace prices 3 copies from $43.50 How does the rental process work?